The provisions of the electoral legislation, including the need to regulate online election agitation, as well as the proportionality of sanctions applied to new local elections in Chisinau, were discussed at today's meeting of the Legal Commission, Appointments and Immunities. Raisa Apolschii, chair of the Legal Commission, Appointments and Immunities, announced that the talks will continue on the committee, and MEPs will analyze the expertise and opinions presented to make proposals to improve electoral law. Deputies, representatives of civil society, notorious lawyers, as well as the president of the Central Electoral Commission and the State Secretary of the Ministry of Justice attended the meeting. According to the data presented, until this time there were 36 cases of invalidating elections in the Republic of Moldova, especially in the local elections. Also discussed were instruments to regulate electoral agitation on social networks without limiting the right to free speech. Iurie Ciocan, CEC member, drew attention that talks about the need to regulate electoral agitation on social networks are being held around the world. According to him, it is certain that social networks influence the voter's position, and regulations are needed for the pages. Another proposal was limiting the costs of visual advertising. In turn, Sergiu Sârbu, a member of the Law Commission, Appointments and Immunities, said that it should be taken into account that the Internet has come second, according to polls, by popularity. "We are not talking about bans, but about clear regulations that ensure the integrity of the electoral process and the strengthening of the electoral rights of the citizens of our country", the deputy said. Vasile Bolea, member of the Law Commission, Appointments and Immunities, proposed the creation of a subcommittee in Parliament which, after each polling, together with the electoral authority, to examine the irregularities and difficulties and to propose, if necessary, adjustments to the legislation. Pavel Postica, Program Director, Promo-LEX Association declared that it opted to abolish the prohibition of electoral agitation on election day, excluding the voting section and the adjacent space. On the other hand, Igor Botan, a representative of the Coalition for Free and Fair Elections, said that it would be good to keep the day of silence, because we are a transition society. Pursuant to Parliament's decision of July 12, the Legal Commission, Appointments and Immunities was empowered to analyze, expertise, and evaluate electoral legislation in line with international election standards, with reference to the premises and legal motivation that underpinned invalidation of last local elections, including the use of social networks, and the proportionality of sanctions applied. 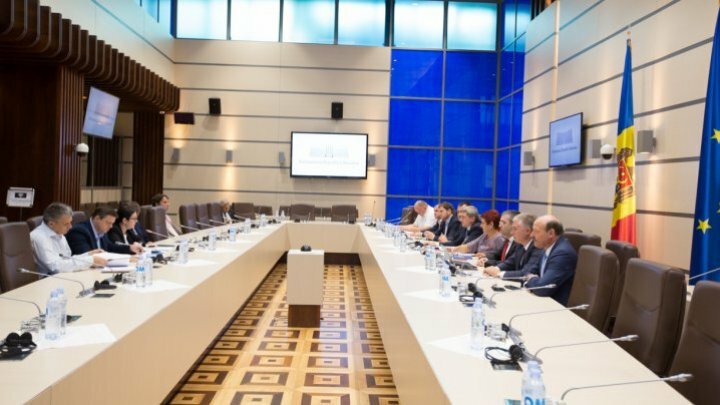 The Commission is expected to submit to the Parliament within 60 days conclusions and proposals, including improvement of the relevant normative framework in order to ensure the integrity of the electoral process and the consolidation of the electoral rights of the citizens of the Republic of Moldova.